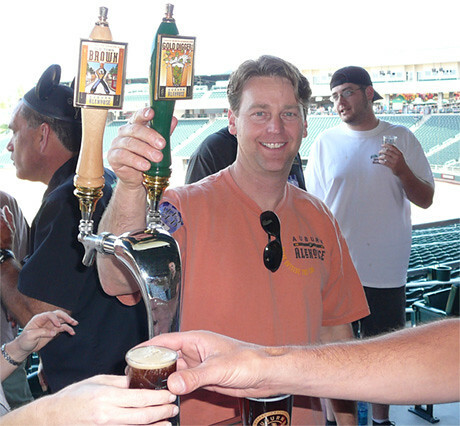 Today is the 39th birthday of Peter Hoey, who used to be the brewmaster at Sacramento Brewing, then left to launch a new brewery, Odonata Beer Co., with Rick Sellers, which sadly ran into some hurdles that had nothing to do with how good the beer was that Peter was making. He’s also brewed at Sierra Nevada and Bison Brewing, too. Then Peter was working at Brewers Supply Group, having taken over Mark Worona’s old job (since he’s been promoted). More recently, he’s left BSG to start his own brewery in downtown Sacramento, Urban Roots Brewing. Their Facebook is live this morning, too. Peter’s partnering in the venture with Rob Archie, who also owns the Pangaea Bier Cafe. Peter’s a great brewer and has become a good friend over the years. Join me in wishing Peter a very happy birthday. Peter and me at Urban Roots during the California Beer Summit. 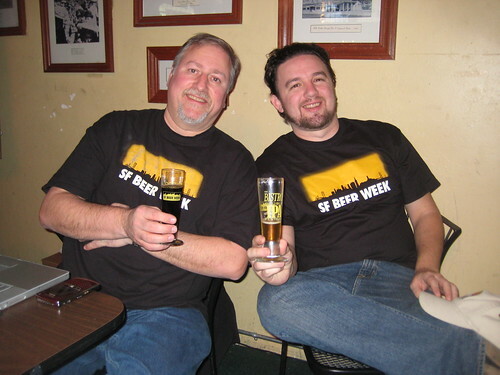 Former Odonata partner Rick Sellers with Peter at GABF in 2010. 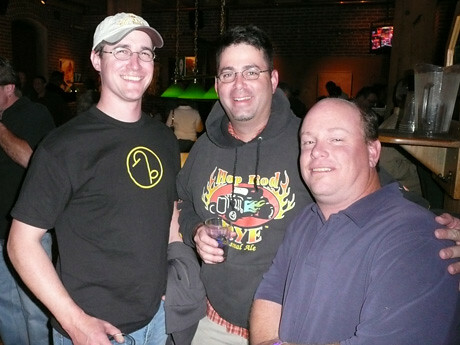 Peter at the GABF Brewers Reception in 2007, along with Rich Norgrove from Bear Republic and Arne Johnson of Marin Brewing. 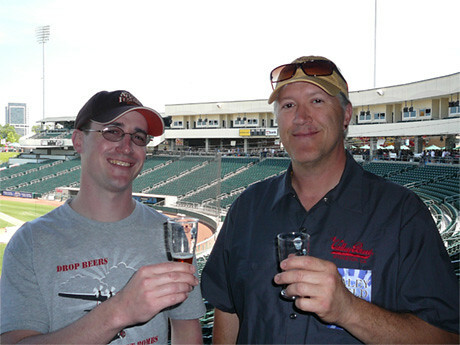 Peter, looking about twelve, and Steve Altimari, from High Water Brewing, at the first Raley Field Beer Festival in 2007. With a group of people earlier this year at Pangaea Bier Cafe during judging for the California State Fair. 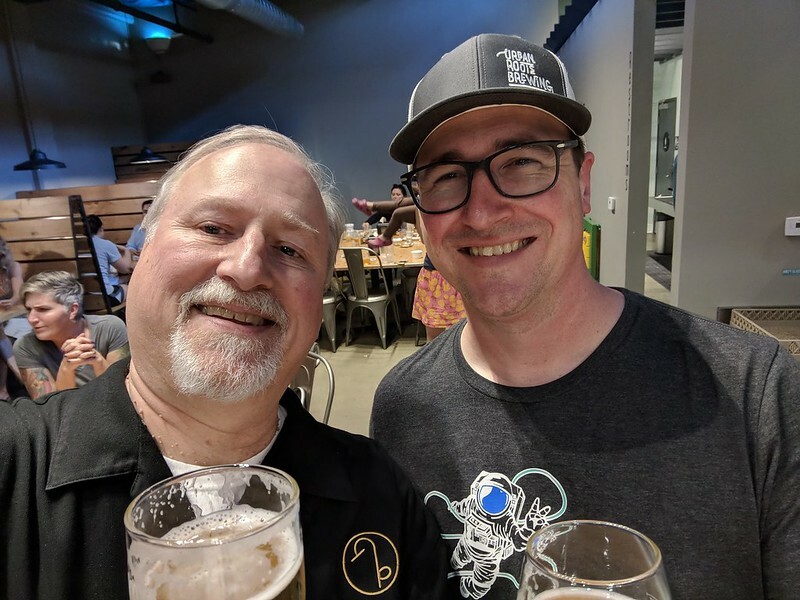 I got a heads up from my friend Peter Hoey a few days ago that he’s leaving Brewer’s Supply Group and embarking on a new venture in Sacramento. I’ve known Peter since he was brewing at Bison Brewing, and he’s been brewing and consulting around the Bay Area for many years, including at Sierra Nevada and Sacramento Brewing. He announced today that coming this fall, he’ll be brewing again at his own place in downtown Sacramento, which will be called Urban Roots Brewing. Their Facebook page went live this morning, too. Peter’s partnering with Rob Archie, who also owns the Pangaea Bier Cafe. I’ve met Rob at several beer events over the years, and I think he’ll be a great partner in this, and will appreciate how talented a brewer Peter is. The lease is already signed and they’re fairly well along in the process. Fall seems reasonable, actually, even though most such predictions, in my experience, tend to be twice as long as originally thought. But Peter has opened breweries before, and knows what he’s up against, so I think we’ll be able to sample his new beer before the end of the year, which is terrific news. Urban Roots Brewery & Smokehouse announces plans to open a 15,600 sq. ft. facility incorporating a 15-barrel craft beer production brewery, tasting bar and a 300-seat smokehouse restaurant, including a 2,400 sq. ft. outdoor patio in the Downtown Sacramento/Southside Park area at 1322 V Street. 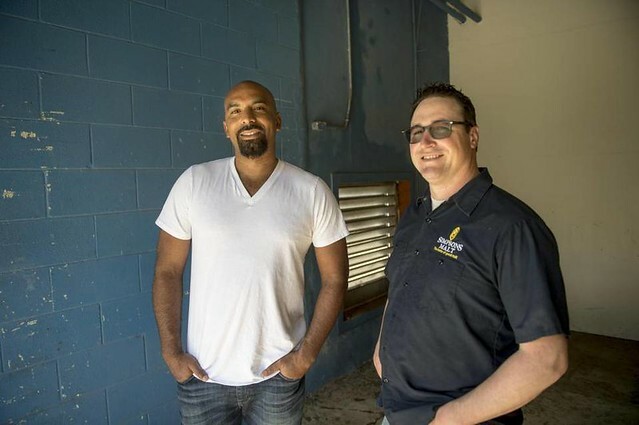 A joint venture between Sacramento area natives and co-owners, Brewmaster Peter Hoey and Rob Archie, owner of regional favorite Pangaea Bier Café, Urban Roots Brewery & Smokehouse plans to open fall 2017 and estimates to employ approximately 50 people. Peter Hoey has worked toward this moment for over two decades. He has practiced his craft alongside the legends at Sierra Nevada, led the charge at Sacramento Brewing Company, and currently consults with the top beer brands in the country for BSG CraftBrewing, an industry supplier of brewing ingredients. Recent production collaborations include the highly sought after Hoeybeer with Santé Adairius Rustic Ales. After a decade of collaborating together in the industry, partnering with Rob Archie on Urban Roots will fulfill Hoey’s life-long dream of producing some of the finest beers in the world, pairing them with simple, clean and delicious food, and showcasing Sacramento’s regional farm-to-fork ingredients. A pioneer of national and international craft beer promotion in Sacramento, Rob Archie’s concept, Pangaea Bier Café, has earned the respect of top brewers in the country and a fiercely devoted clientele—not to mention being the culinary critics’ darling with back-to-back Sacramento Burger Battle judges’ choice wins, being named a Top Beer Destination every year since its opening in 2008, and receiving numerous accolades from both print and broadcast media. Bringing their combined national and international beer travel experience and expertise home, Urban Roots will produce a myriad of beer varieties, with a focus on farmhouse style ales, oak aged beers and collaborative releases. The smokehouse will continue the culinary excellence practiced at Pangaea Bier Café focusing on regional ingredients and smoked meats. The Urban Roots name is intended to represent its location in the city’s center and its proud roots in both the Sacramento urban and farming communities. Hoey and Archie believe that the V Street location is a key ingredient in creating their vision for Urban Roots—and their vision for Sacramento. 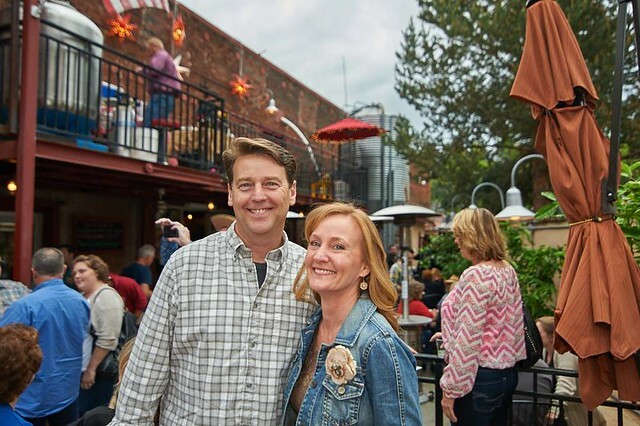 Investing in the Downtown Sacramento/Southside Park neighborhood, and in Sacramento in general, is a reflection of both partners’ beliefs and passion for their community. Both Hoey and Archie have individual and shared histories of uniting Curtis Park and Oak Park through a successful neighborhood business, hosting sold-out beer dinners to support local philanthropy, as well as taking and sharing the Sacramento region’s talents and tastes with a global audience. 1322 V Street is exactly where Hoey and Archie want to build Urban Roots Brewery & Smokehouse, an immersive craft-beer brewery experience that doesn’t currently exist in the Capital City. In doing so, they will offer a one-of-a-kind destination for Sacramentans to come together and create a bevy of food and beer tastes for the world to enjoy. 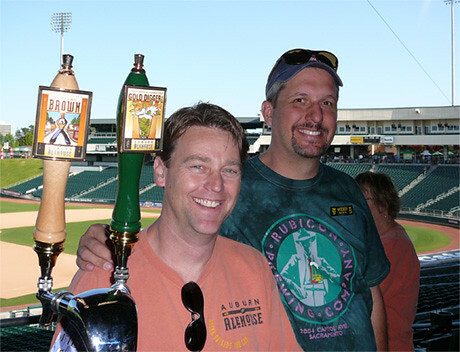 Rob Archie and Peter Hoey, owners of the new Urban Roots Brewery. 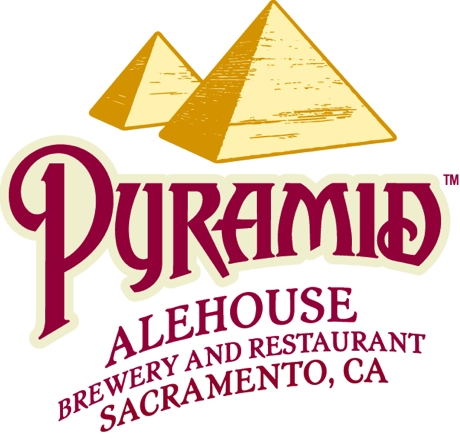 WE REGRET TO INFORM YOU THAT THE SACRAMENTO PYRAMID ALEHOUSE HAS PERMANENTLY CLOSED ITS DOORS AS OF TODAY, MARCH 4, 2013. WE WANT TO THANK THE SACRAMENTO COMMUNITY FOR THEIR PATRONAGE AND OUR EMPLOYEES FOR THEIR YEARS OF SERVICE. Odonata Beer Company’s limited reserve Cellar Aged Saison is a special release of our flagship Saison that has been conditioned in perfect Wine Cellar conditions. Like a fine wine, our Saison is traditionally designed to be aged and the bottle conditioning has allowed the live yeast to provide a very dry exquisitely herbal finish along with the refined tropical fruit notes which define our outstanding Saison. Drinkable and refreshing, this beer scored an impeccable 98/100 points before we laid it aside for cellar conditioning – and industry experts are calling our reserve inventory better than the original! After a short hiatus, Odonata Beer is thrilled to announce it’s resurrection and our Reserve Saison is being made available only by arrangement as a celebration of our local establishments and the fine beer enthusiasts of Northern California! Tracy also informs me that she’s working on getting a new facility open in the Sacramento area later this year. I assume many people already saw this, and the brouhaha seems to have died down, if not gone away. But the issue remains, lingering like a wound that won’t heal. The specific incident in question began a few days ago when a restaurant in Sacramento, Kupros Bistro, got a keg of Russian River’s highly sought after Pliny the Younger (PtY), and announced on Facebook (now taken down) that they would be offering it to the public for a whopping $45 for a 12 oz. pour, though to be fair that price also included “a burger, and a buck off any other tap beer for the remainder of the event,” as reported by RanSACkedmedia.com, whose byline is “True-life stories of Modern life in California’s Capitol City.” Many people complained, not surprisingly, and Russian River Brewing was inundated with e-mails, some of which even blamed them. What many people don’t realize — and really why should they? — is that the laws are very specific about how beer is distributed and sold. It’s a highly regulated product. Most people just buy the beer they want, without a moment’s thought about how the system works, how the pricing is set, or what the law says about it. In California, by law, everybody is supposed to pay the same price for the same beer. Whenever prices change, a “posting” must be filed in advance with the California ABC in Sacramento, and it’s done on a county by county basis, meaning a separate “posting” must be done for every county where the beer’s price is raised or lowered. I’ve been to the ABC offices. When I visited, there was a shelf for each county, with the postings heaped chronologically on each one, usually in folders, which I think may have been for each month. I think I heard they’ve finally started to digitize the information but as recently as the late 1990s they were still all analog and the only way to review them was to go to the office and start opening folders. The point is that, despite the occasional shenanigans, the price that every bar pays for a keg in a given county is the same. Neither the brewery or the distributor can start charging more in order to gouge a customer or make more money as a beer becomes more scarce, not without changing the price for everybody by posting the new price. It’s the retailer, the business that sells the beer directly to the customer, that has more flexibility in their pricing. They can, in theory, charge whatever price they believe they can get for what they’re selling, whatever they believe the market will bear. The manufacturer (in this case the brewer) usually recommends a price point — you often hear it expressed in other industries as the MSRP or “Manufacturer’s Suggested Retail Price,” but they’re usually not bound to take the suggestions. At Christmas there’s usually a hot toy item that becomes artificially scarce and it will cost you a lot more to get the latest Wii game, Tickle-Me-Elmo or Cabbage Patch Doll. Most people just accept that it’s part of living in a capitalist society. But beer is usually handled somewhat differently, in part because it’s so highly regulated, and in part because until recently there haven’t been many beers that could command an excessively high price. We’re in somewhat uncharted waters. It’s only been maybe the last ten or so years that we’ve seen a proliferation of cult beers — Three Floyds Dark Lord, Portsmouth’s Kate the Great, The Bruery’s Black Tuesday and, of course, Pliny the Younger. So here’s what happened with the PtY flap in Sacramento. 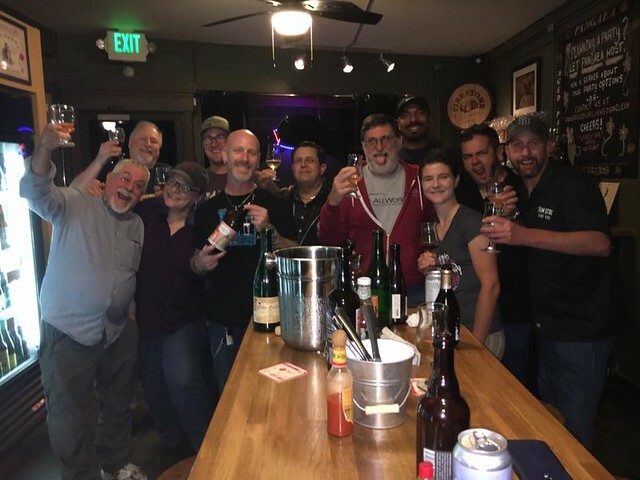 Vinnie Cilurzo, Russian River’s brewmaster and co-owner, contacted his distributor in Sacramento, DBI Beverage, and asked them to pay Kupros a visit. Again, ranSACkedmedia.com followed up on the story, reprinting an e-mail from one of Russian River Brewing’s fans who received a reply from someone at the brewery. I feel a little funny re-printing what was obviously intended to be a private e-mail, but since it’s already been posted there, it’s already out in the public. Thanks for the email, but, please do not jump to conclusions here, it is Kupros that is the bad guy here. DBI Sacramento is already on this as I have received a couple emails before yours, they are heading to the account right not (or they may already be there) telling them that DBI and Russian River are very upset and DBI is dealing with. We sell beer at a posted price (ABC law) to our Sacramento distributor, DBI Beverage. That means every keg we sold them was the same price. Then, DBI legally has to post their keg price with the ABC, this means they sell a keg of PTY to all accounts for the same price. With that said, it is the account Kupros that is ripping people off, not DBI and not Russian River. Anyway, I really appreciate you emailing us, and please know that we are pissed off beyond belief and I can say for sure that Kupros will never get RRBC beer again. For some of our customers who feel taken advantage of: we wanted to make clear what we were offering you: Kupros was offering something special for those who wanted to make a special night out of enjoying their pint of Russian River Brewing Company Pliny. We were offing a pint WITH YOUR choice of 4 different burgers, happy hour all day and a raffle for free another pint of Pliny at the end of it. It was NOT $45 for a pint. It was NOT $45 for a burger and a small glass. It was a package deal that was mis-communicated on Facebook. For those who called in to confirm and purchase tickets, we thank you! We also thank our loyal patrons who understand that Kupros is not about capitalizing on others, but rather — about community and the special feeling we all get when we can make a night out feel amazing by enjoy a rare taste of beer! In the end, we are sorry for the inconvenience of the lack of clear communication! Now I don’t know anyone from Kupros, and I certainly don’t mean to keep the wound open, but that sounds like damage control, pure and simple. Let’s say the beer should have been priced at $5 for a 12 oz. glass, is the rest of that “package deal” worth $40? Removing the beer, for $40 you would get a burger (and not just any burger, but you even got to choose from among four different kinds of burgers), happy hour pricing all day long, and the chance to win another glass of Pliny the Younger. That’s the package. And in the story, it’s revealed that the burger that’s part of the package is normally priced at $14, so that would mean your raffle ticket for the second glass of PtY and the right to buy additional draft beer at happy hour prices would cost you $26. As RanSACked also notes, “no mention of the raffle prize for one lucky patron to get a second glass of Pliny the Younger” was made in prior announcements of the event. “Due to the confusion”? Or was it due to the overwhelming internet backlash? Do you feel this mea culpa is adequate? Are you willing to move on from this SNAFU and patronize the bistro for a chance to taste the ultra-rare Pliny the Younger? And lending credence to the damage control theory, one commenter noted that Kupros had deleted his sarcastic comment from their Facebook page. I assume, and hope, this is an isolated incidence. But it is indicative of what can happen when the market changes and there is an unbalanced supply and demand situation. Overall, I think it’s great that breweries make small, special batches of beer. It keeps their creative juices flowing and provides something fun, interesting and hopefully tasty for craft beer’s biggest fans. It’s usually great press and even creates fun events for people to attend. And who doesn’t want to try an ultra-rare, hard-to-get, or one-of-a-kind beer? While there are people who complain that it’s gone too far, the beer’s are rarely worth all the attention paid them, or that the effort to get one is just too much, I feel confident that almost every one of those same people would happily accept trying the beer if it was handed to them. They just don’t want to make the effort. And that’s fine, nobody’s making them. What I guess I don’t understand is why so many people feel compelled to insult the brewery for creating an exciting beer that many other people are willing to take the time and effort to acquire and to insult the people who are willing to make more of an effort than they are? It usually comes across as sour hops to me. But as more and more beer lovers are finding craft beer every day, this is a problem that’s only going to continue to grow. When popular breweries make a small batch of beer, chances are there are more people willing to buy some of it than there is beer to go around. Whenever I get a chance to try one of the “cult” or rare beers, I feel fortunate and lucky to have had the opportunity to try that beer, but there are plenty of such beers I’ve never tried and perhaps never will. And for me, that’s just fine. There’s plenty of great beer out there, and I’m not going to waste my time fretting over what I didn’t drink. If someone else gets to try a beer I didn’t, I say “good for them,” and hope they’ll please tell me how it was and what it tasted like. But it seems to me that many people feel that they’re somehow entitled to that rare beer, and if they don’t get it, then it’s just not fair. People who missed the lottery for some of these beers seem to feel they’ve been cheated somehow. People in other parts of the country seem to think it’s unfair that locals have the advantage. When a beer sells out before they’ve had a chance to try it, they take it personally, as if the brewery ran out of it on purpose just to ruin their day. I’ve even heard people complain to beer festival organizers that because they didn’t get to drink one of 100 or more beers available at an event, that they should be entitled to get their money back, as if a beer festival ticket guarantees a taste of every beer served there. This attitude seems to cause all manner of bad behavior. If I’ve learned anything in my half-century on planet beer, it’s that people are funny creatures. They definitely want what they can’t get, and so there will always be a market to satisfy such demands, which is why we’re seeing a grey market emerging for cult beers. I saw a tweet recently that someone was filling two water bottles with Kate the Great and was looking to sell or trade one of them. I toured Three Floyds after CBC in Chicago a few years ago and discovered that a few days before someone from a tour group had stolen two bottles of that year’s Dark Lord and put one of them up for sale on eBay. Many rare bottles now show up on eBay, and eBay seems to look the other way even though it’s supposed to be against their own policy to allow alcohol sales. They get around it by just selling the “collectible” bottle. Uh, huh. I even understand that an industry representative contacted them to try and put a stop to such beer sales and was rudely told they’d have to sue eBay to stop it. In many conversations I’ve had with brewers, they hate seeing their beers sold like that on eBay. But as long as there are people willing to pay high prices for rare beer, people’s greed will keep such a market alive. I’d love to believe we’ve moved past the “greed is good” days of the 1980s, but sadly there’s no evidence I can point to that doesn’t make me think as a society we’re even more controlled by money than ever. And so in order to have such rare, cult beers we’re going to have to suffer the consequences that such scarcity brings. The good news is, of course, that what that also means is that the demand for such beer suggests all manner of wonderful things to come for craft beer’s future. If we all just learn to play together a little nicer, and not be so consumed by the desire for money, I think I’d drink a little easier. I’d hate to see rare beer become like coin or stamp collecting where it’s all about what it’s worth, and not its intrinsic beauty. Where I grew up in Pennsylvania, there was a big weekly flea market — Renninger’s — where people would come to on the weekends from all over the northeast. As a teenager, I remember feeling disgusted watching some yuppie from New York talking to a book seller about the leather binding of an old book while the seller tried to tell him the story its pages contained. The yuppie could not have cared less about the story; all he cared about was the value and the condition of the binding and how it would look in his house. Beer is made to be enjoyed. It’s not meant to languish in a cellar. Yes, some beers can, and should, be aged for a period of time, but in the end their purpose is to be opened and, ideally, shared with friends. That’s true whether or not they’re rare or common. I believe that rare and “cult” beers are ultimately good for the beer industry, but only as long as they’re kept in perspective and it’s the beer inside them that’s most important. When it becomes about money, and greed, and grey markets, and eBay, and crime then we’ve lost what made them worthwhile and created the demand for them in the first place. When that happens, then I’ll really need a drink. I just may not be able to afford one. Today is the birthday of Rick Sellers, former beer director of DRAFT magazine and former parter with brewer Peter Hoey in the Odonata Beer Co., which sadly didn’t quite get off the ground. These days he’s back writing online at Pacific Brew News. Join me in wishing Rick a very happy birthday. 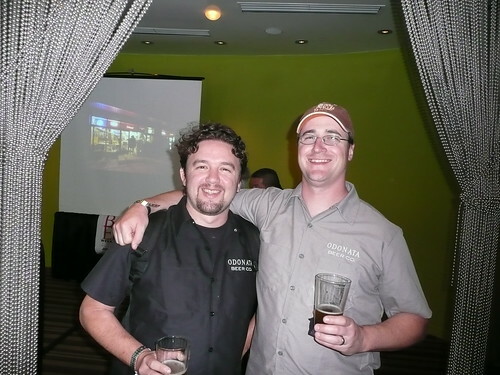 Rick with Odonata partner Peter Hoey at GABF in2009. 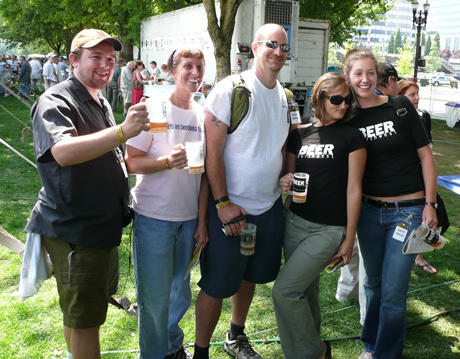 At the OBF media tasting: Rick, Merideth and Chris Nelson, the The Beer Geeks, and Meagan Flynn (at right) with her assistant, Annalou, publisher of Beer NW during the 2007 Oregon Brewers Festival. 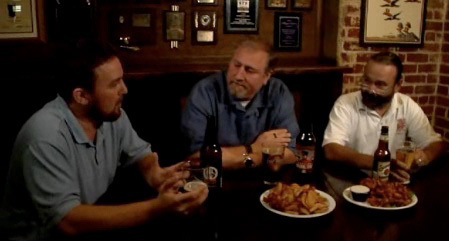 Rick, with me and J.J. Jackson tasting beer for a segment of a TV show that was done for KVIE, the PBS station in Sacramento. For several years now, Rubicon Brewing in Sacramento has hosted an event celebrating women in brewing. 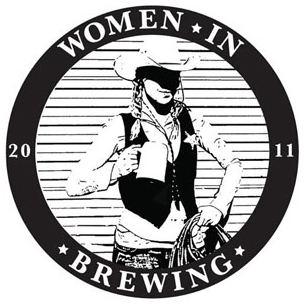 This year’s Women in Brewing Main Event will take place this Saturday, April 16 all day long. Rubicon is located at 2004 Capitol Avenue in Sacramento. Join us for our annual celebration of women in the craft brew industry! We’ve got some fantastic beers in store for y’all, including special brews from Sierra Nevada, Lost Coast, Auburn Alehouse, Stone, Santa Cruz Mountain, Blue Frog, Moylan’s, and more! So, stop in, have a pint, and chat with some amazing Women Brewsters. And above all … the event benefits a great organization, W.E.A.V.E.! Talk about a father’s day gift. 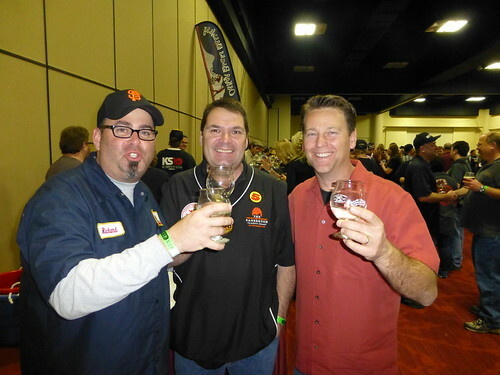 I just got an e-mail from my friend Peter Hoey, who’s the co-founder and brewmaster of Odonata Brewing in Sacramento. His wife Britany gave birth last night to their second child, and first son, Liam. But I can’t help but beam with pride after reading his middle name. Now that’s a beautiful name — good choice. 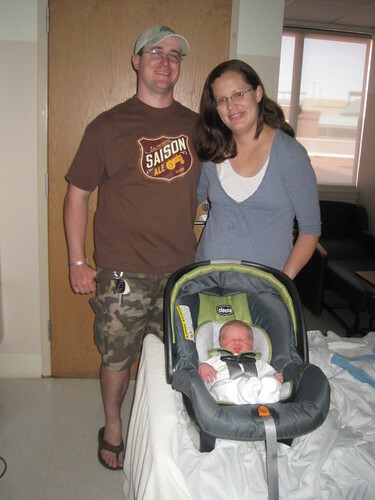 Peter tells me they’re “now home resting and getting to know him.” Please join me in congratulating Peter and Britany Hoey as they welcome the newest addition to the Odonata Brewing family. Peter, Britany and Liam Hoey. ODONATA (OH-DOE-NAH-TA) is ecstatic to announce the arrival of its flagship beer, Saison! Brewed with malted barley, wheat & rolled oats, Saison is a rustic interpretation of the traditionally Belgium-brewed beer. Spiced with Styrian & East Kent Golding hops Saison has an aromatic, floral & peppery aroma and a modest hop bite. Our Belgian yeast strain also lends the slightly wild scents of passion fruit and spice. Saison is designed for refreshment & complexity; perfect on its own, or paired with ripened cheeses or classic Belgian-style seafood dishes. Saison bottles are bottle-conditioned, so serve chilled. 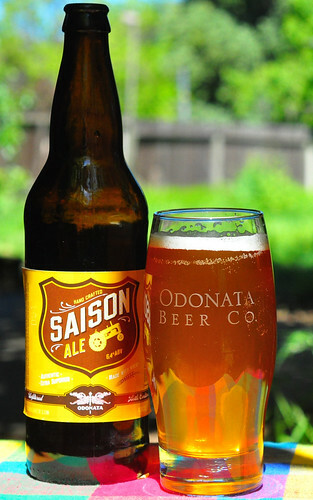 ODONATA Saison will be available on draft at select Northern California retailers beginning Friday, April 30, 2010 and will begin distributing bottled Saison in mid-May throughout Northern California. For further information regarding Saison, its availability or other inquiries, please contact Rick Sellers using the information found below. 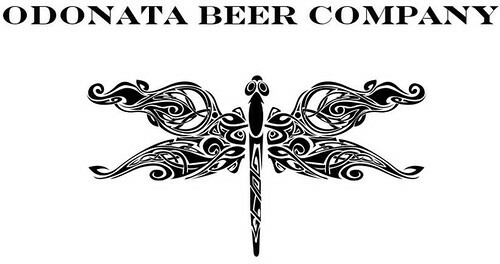 ODONATA Beer Company is based in Sacramento, Ca. Brewmaster Peter Hoey is an experienced, award-winning brewer as well as an instructor at UC Davis’ prestigious brewing school and The American Brewers Guild. Sales Director Rick Sellers is an experienced beer journalist and former Beer Director for DRAFT Magazine, the world’s largest beer publication. Together Peter & Rick started ODONATA in 2009, with their first beer release (Rorie’s Ale) scoring a 100 on RateBeer and was named one of the best beers in the world. (The Homebrew Chef has also created a special recipe using Odonata’s saison for Saison-Steamed Mussels. Serving Suggestions: Store Saison upright at cellar temperature & serve chilled, between 40-48 degrees, in a sturdy glass.